The first word outside of brackets is the herb’s common name. The words in brackets are the latin binomial names of the herb: the capitalized first word is the genus of the plant, and the second lower case word is the species of the plant. Sometimes you’ll even see it written simply as “E. angustifolia”, but it’s referring to the same latin name we mentioned above. Why are plants named like this? Let’s bring you back to high school biology and Linnaen Taxonomy. Carl Linnaeus created a way to keep track of all of the different kinds of plants (and animals!) in the world, so that as new species were discovered, they could be grouped according to how similar they were to others. Let’s use Echinacea as an example. Echinacea (Echinacea angustifolia) is a plant that has a common name (what we call it normally) that is the same as it’s genus name, but this isn’t always the case. For example: Pumpkin (common name) is actually called Curcubita pepo (latin name). Knowing the family of an herb can help explain why some people can have mild allergies to echinacea if they already have seasonal allergies. Ragweed (Ambrosia artemisiifolia) and echinacea (Echinacea angustifolia) come from the same family of plants (Asteraceae), and share some similar chemical constituents because of that, even though they have completely different genus and species. You will also see “spp.” instead of a species name at times: this designates that several different species are being grouped together from the same Genus. For example, there are multiple different kinds of Echinacea species. In addition to Echinacea angustifolia, Echinacea purpurea is also found in dietary supplements. To mention several plants from the Echinacea genus at once without naming Echinacea purpurea and Echinacea angustifolia individually, “Echinacea spp.” is often written. Interested in reading more articles like this? Let us know! It can be hard to stay up-to-date with the amount of information about supplements online and in the news. For that reason, our Integrative Medical Advisory Team wanted to help make it easier for you by curating some trusted resources for your research. Whether it is learning about ingredients, products or the industry as a whole, the following list is a great place to start. 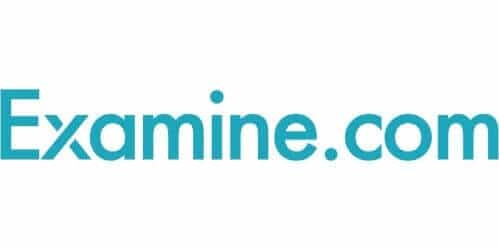 Why we like them: Examine.com is a free and unbiased resource that explains supplements in plain language. It’s easy to understand supplement efficacy, uses, and reliability of the evidence with their Human Effect Matrix. 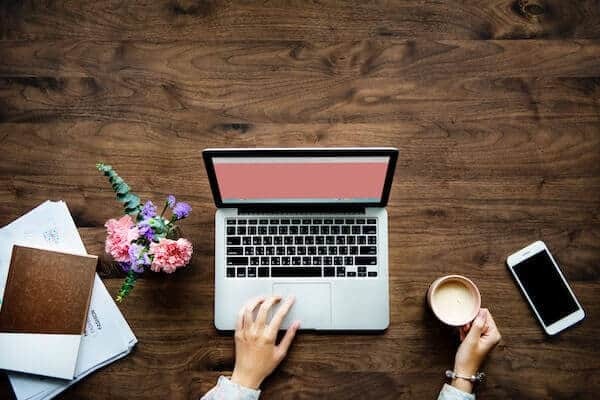 Along with being easy to read, all articles are highly referenced, which make it a great place to come and learn about a supplement quickly, or even to do a deeper dive on ingredients. Why we like them: Naturals Medicines was one of the first websites to curate a massive amount of information about almost every supplement imaginable. There are in depth pages on each supplement, and lots of other clinical aids such as an interaction checker (to see which supplements can interact with drugs), and a depletion checker (to check which vitamins and minerals are depleted by drugs/supplements). Why we like them: The Journal of the International Society of Sports Nutrition regularly releases position stands on supplement use in athletic populations. 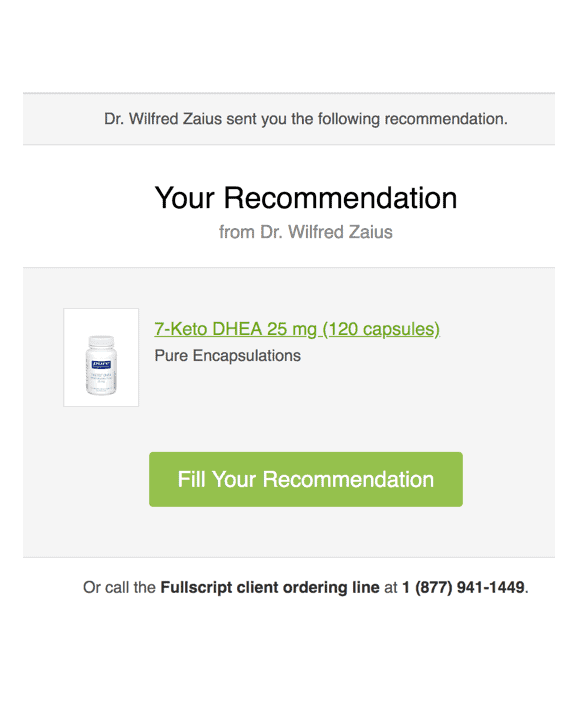 While the site not only provides you with an overview of a supplement ingredients, it also acts as a reliable assessment of whether there is a use in certain athletic populations. If you are curious about understanding more about supplement regulations and what it takes to get a product to market, check out the links below. Since supplements are regulated nationally and sometimes the regulations can vary by state/province, it is always important to check the specific area where you live or practice before starting to take supplements, import supplements, or recommend supplements to patients. Swapping products is exceptionally easy! We’ll notify you in your dashboard if a product needs to be swapped or you can select a product that you’d like to replace. 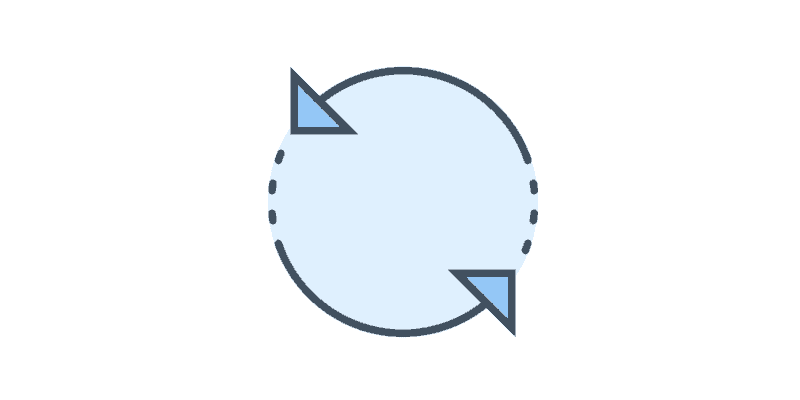 Select a replacement product from our curated list of alternatives or find one in the product catalog. [Optional] You can also notify your patients that their order has been changed to avoid any confusion. Curcumin is the plant-based chemical that gives turmeric its electric yellow colour. 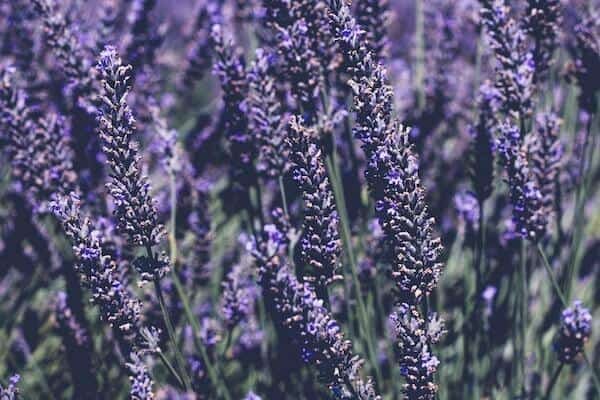 It’s most well studied as a treatment for inflammation caused by chronic conditions such as Crohn’s, ulcerative colitis, and osteoarthritis. Because curcumin is fat-soluble rather than water-soluble, manufacturers often add a binding agent to aid in its digestion. This has caused great diversity in its formulation from one manufacturer to another. If you’ve ever cooked an Indian dish with turmeric (and found yourself scrubbing its yellow stain from your hands), then you’ve been up close with curcumin. In fact, turmeric’s Latin name is Curcuma longa. And while curcumin shows up in many other Curcuma plant species, turmeric is its most common vehicle—though it only accounts for 3% of turmeric by weight. Turmeric belongs to the plant family Zingiberaceae, which also includes ginger. The two root herbs look similar, although turmeric has smaller curls and whorls than ginger and its colour is deeper, almost orange. Curcumin is the reason for that vibrant shade, which is sometimes called “Indian Saffron” (and often used as a dye by clothing manufacturers). Variations of this deep colour are found in plants known as flavonoids (think blueberries, raspberries and cacao). Flavonoids have diverse health benefits; that’s why dietary recommendations often include a colourful spectrum of fruits and vegetables. In the case of curcumin, those benefits include anti-inflammatory and antioxidant properties. Ayurvedic medicine has long used curcumin as a common remedy; it’s gained popularity in western medicine more recently. Curcumin’s natural bioavailability is low. In other words, our digestive systems have a hard time absorbing it and making its health benefits “available” to the body. That’s because curcumin dissolves in fat, not water—and our bodies are designed for water-soluble nutrition. Many manufacturers work around this barrier by adding a fat-based binding agent like soy to their curcumin formula. As a result, curcumin formulations vary from manufacturer to manufacturer, making it difficult to broadly compare different products (see the sidebar for more on this). Start with raw turmeric root. Dry the root and grind it to powder. Add ingredients and liquids to extract curcumin from the ground turmeric. Filter the curcumin solution to remove impurities. Separate the solution into various elements. Isolate curcumin from the solution. Add bioavailability factors to aid the body’s absorption of curcumin. 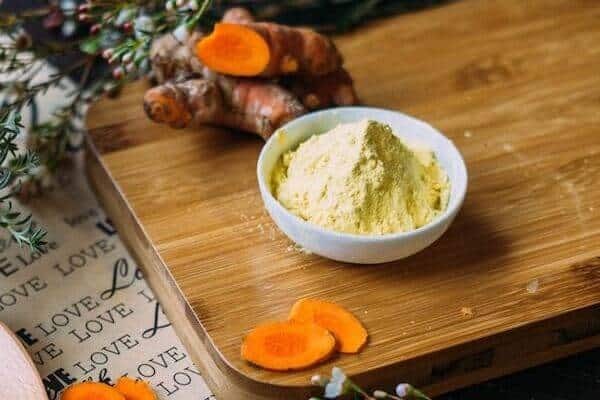 By solely isolating curcumin content and stripping away the other constituents in the herb, there could be health effects that are absent in synthetic curcumin-only products as opposed to curcumin products that still have the herb as raw material. Meanwhile, emerging research reveals new information about curcumin almost daily, including recent studies that have uncovered the health effects in more isoforms of curcumin than previously identified (bisdemethodycurcumin and tetrahydroxurcumin). Note: All formulas are not equal! Many of us expect nutritional formulas to be relatively comparable between companies. When you buy Vitamin C, for example, you know what you’re getting from one manufacturer to another. Not so with curcumin. Because of its insolubility in water and the complexity of its formula, true comparisons between different forms of curcumin are difficult. Some companies run bioavailability studies in which they track the metabolized (or “glucuronidated”) form of curcumin in the body, while others test the non-metabolized (or “free”) form. This means that one gram of curcumin from Company A is not comparable to one gram from Company B. Keep this in mind when considering options. Although curcumin is the most studied active ingredient in turmeric, it only accounts for 3% of turmeric’s weight. That’s why whole ground turmeric, while beneficial to patient health in some ways, isn’t an effective vehicle for delivering curcumin to the body. Instead, choose a curcuminoid product formulated to help your body absorb the supplement quickly and effectively. Some products combine the ingredients or formulations listed below, which are often found side-by-side on retail shelves. This formula is an extraction of the active ingredients in turmeric. It’s so named because 95% of its weight is accounted for in some form of curcumin. Which form, though, is usually unclear. That’s because manufacturers don’t test for the specific identity and amounts. Possible forms include tetrahydrocurcumin, bisdemethoxycurcumin, and hexahydrocurcumin. This form of curcumin is pure, with no added solubility agents. Without such agents, the curcumin’s bioavailability is diminished, and the body has a harder time absorbing it from gut to bloodstream. This form uses soy lecithin, sunflower lecithin, or other chemical emulsifiers as binding agents, helping the body better absorb curcumin. This emulsified formulation defined the first wave of products focused on bioavailability and are still prominently used today. This option improves on emulsification technology. The curcumin is delivered inside fat packets called liposomes, enabling the body to absorb the serum more effectively. This option delivers a lower percentage of curcumin by weight, but the trade-off comes with a benefit: these nano-curcumins achieve higher peak levels and stay in the body longer than other forms of curcumin. Curcumin has an inhibitory effect on the COX-1 and COX-2 receptors. These are the same receptors that aspirin and other NSAIDS (Non-Steroidal Anti-Inflammatory Drugs) target to help deal with both short-term and chronic pain. Although it’s sometimes touted as an inflammation cure-all, we urge you to use caution and apply curcumin to chronic conditions studied in a clinical setting (such as Chron’s, ulcerative colitis, and osteoarthritis) rather than any inflammation-related syndrome. There are normally three steps in the inflammation process: initiation, resolution, and termination. Unlike most anti-inflammatory therapies, which stop inflammation before it begins, curcumin focuses on the second and third steps by helping to resolve inflammation already in the body. This makes curcumin especially good for conditions which happen over a longer period, like arthritis and autoimmune disorders. It’s less effective for acute conditions like strains and sprains. Curcumin works as an anti-inflammatory agent by downregulating NF-KB, a transcription factor in the body. NF-KB creates inflammation and changes how proteins are made, which contributes to cancerous cell growth. By inhibiting NF-KB, curcumin supports the body’s ability to clear out inflammation cells and chemicals. Curcumin and the natural phenol Resveratrol are two of the only supplements that modify NF-KB effectively. Note: Modifying how a transcription factor works doesn’t change a person’s genotype (or genetic code); instead, it changes the phenotype (or the way that genetic code is expressed). Advice in this category is not as simple as, “Avoid oxidants and take antioxidants.” For example, a large study released in the early 1990s uncovered surprising effects of antioxidant supplementation in smokers. Those receiving beta carotene (a potent antioxidant) demonstrated a HIGHER risk of death from lung cancer and other causes than those not taking the supplement. These results ran exactly counter to the researchers’ expectations and revealed the complexity of resolving oxidant stress in the human body. Enter NRF2. Its name stands for nuclear factor erythroid 2–related factor 2, which regulates how cells deal with oxidative stress. Like NF-KB, NRF2 is a transcription factor which can upregulate or downregulate its function. Modifying the NRF2 function provides an alternative to high doses of a single antioxidant for a long time (as in the beta carotene study). Curcumin helps by inducing NRF2 function, which supports the body’s normal ability to handle oxidant stresses. Like ginger, curcumin thins the blood, which introduces a bleeding risk. Always check for any interactions with your current drug program before taking curcumin, especially if you’re already using blood thinners. While curcumin effectively decreases episodes of inflammatory bowel disease (IBD), it can cause bloody stool in rare cases of patients with IBD. This is a well-known and dose-related side effect. Finally, remember that the vibrant colour of curcumin is the same stuff that stains your hands when cooking with turmeric. It’s harmless but may take a few days to disappear. Keep this in mind, especially if applying curcumin topically, such as in cases of oral mucositis. Curcumin is Generally Recognized As Safe (GRAS) by the FDA, and poses minimal concerns for the user. As always, speak with your practitioner if you notice a new symptom that may be related to this or any supplement. Schneider A, Et al. Comparison of Remicade to Curcumin for the Treatment of Crohn’s Disease: A Systematic Review. – PubMed – NCBI. https://www.ncbi.nlm.nih.gov/pubmed/28735823. Accessed 16 Apr. 2018. Curcumin for Maintenance of Remission in Ulcerative Colitis | Cochrane. doi:10.1002/14651858.CD008424.pub2. Avey, Tori. “History of Turmeric | The History Kitchen | PBS Food.” PBS Food, 9 Mar. 2015, http://www.pbs.org/food/the-history-kitchen/turmeric-history/. Prasad, Sahdeo, et al. “Recent Developments in Delivery, Bioavailability, Absorption and Metabolism of Curcumin: The Golden Pigment from Golden Spice.” Cancer Research and Treatment: Official Journal of Korean Cancer Association, vol. 46, no. 1, Korean Cancer Association, Jan. 2014, p. 2. Serhan et al. Resolution of inflammation: state of the art, definitions and terms. FASEB. Vol 21. No. 2 Feb 2007. http://www.fasebj.org/content/21/2/325.long. Kocaadam, Betül, and Nevin Şanlier. “Curcumin, an Active Component of Turmeric ( Curcuma Longa ), and Its Effects on Health.” Critical Reviews in Food Science and Nutrition, vol. 57, no. 13, Sept. 2017, pp. 2889–95. Alpha-Tocopherol, Beta Carotene Cancer Prevention Study Group. “The Effect of Vitamin E and Beta Carotene on the Incidence of Lung Cancer and Other Cancers in Male Smokers.” The New England Journal of Medicine, vol. 330, no. 15, Apr. 1994, pp. 1029–35. Ma, Qiang. “Role of Nrf2 in Oxidative Stress and Toxicity.” Annual Review of Pharmacology and Toxicology, vol. 53, NIH Public Access, 2013, p. 401. 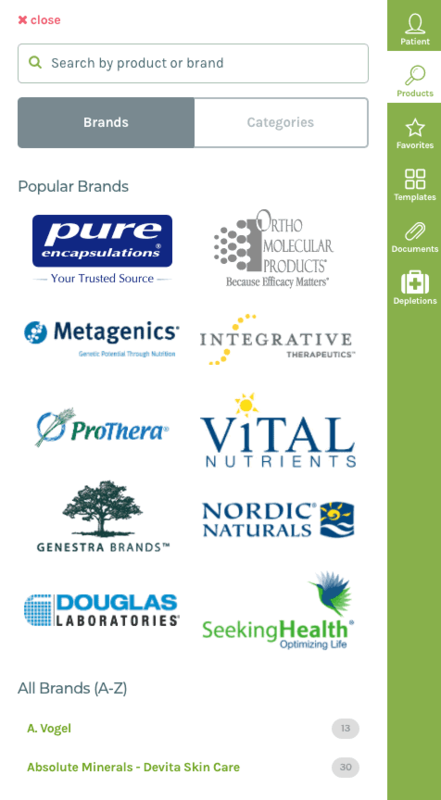 Scottsdale, AZ, and Ottawa, ON, Canada, May 29, 2018 – Natural Partners, Inc. and Fullscript announced plans today to combine, bringing the best wholesale and fulfillment network in the nutritional supplement industry together with the premier online supplement dispensing platform to create a more efficient, effective, and innovative solution for integrative practitioners and patients who seek holistic and natural solutions for wellness. Natural Partners Fullscript will harness Fullscript’s excellence in software engineering and Natural Partners’ supply chain and merchandising expertise to provide a holistic management solution for integrative practitioners – no matter how they choose to prescribe and dispense. The new company, which will specialize in online dispensary management, speciality distribution, e-commerce, and patient adherence tools, is dedicated to supporting the expanding integrative healthcare market. The company’s new roadmap for service evolution and product innovation is expected to improve health outcomes for patients, while driving increased demand for wellness products and services. “This combination is unique; we’re bringing together two teams that are completely complementary and laser focused on the future direction of the wellness industry. Fullscript’s strengths are amplified by Natural Partner’s strengths, and vice versa. The Natural Partners team is incredibly passionate, and it takes that kind of passion to make a difference in healthcare. That’s why we were so drawn to the Fullscript team. In an industry that’s fraught with complex issues that have a real impact on human lives, we’ve got something special to contribute – a great strategy, and a team of people that truly care.” said Fran Towey, Chief Executive Officer, Natural Partners Fullscript. “When my co-founders and I started Fullscript in 2011, we knew we were embarking on a difficult journey with an incredibly worthy mission – we believe in integrative care and we need to make it easier for everyone involved in that industry, especially patients. Every decision we’ve made, every new feature or service that we’ve released in the past five years, it’s all been driven by that mission to take the hassle out of integrative health. The decision to combine with Natural Partners is no exception. 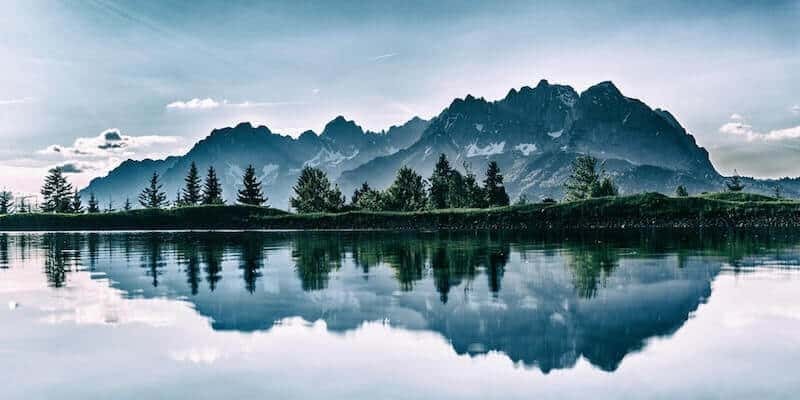 They want what we want, they care about the same things we do, and together we can take our services and our platform even further in delivering on that shared goal.” said Kyle Braatz, President, Natural Partners Fullscript. Fullscript is a fast-growing, health-tech startup with over 2000% GAAP revenue growth in the past three years. Founded in 2011 by Kyle Braatz, Brad Dyment, and Chris Wise, Fullscript was the first online dispensing platform for nutritional supplements, now powering digital dispensing for over 25,000 practitioners, and over 450,000 patients across the U.S. and Canada. 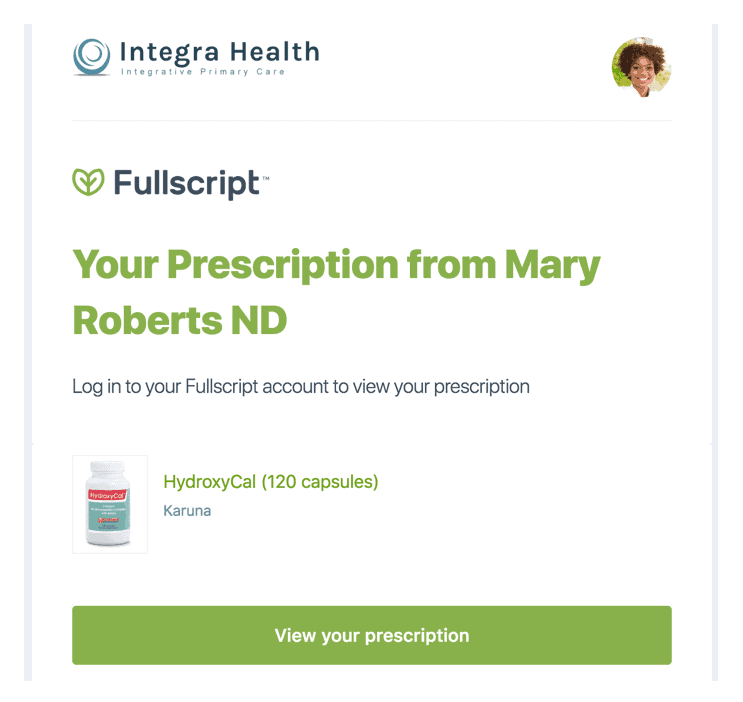 Fullscript’s mission is to take the hassle out of integrative healthcare by making supplementation seamless and easy. For more information, visit Fullscript.com. Natural Partners, Inc. is a resource for integrative healthcare practitioners who strive to improve patient wellness and improve practice economics. Founded in 1995 by Tye Smith, Natural Partners has researched trusted brands and welcomed them into their portfolio, currently offering over 16,000 premium products from hundreds of high-quality manufacturers. No matter how integrative practitioners do business, Natural Partners ensures their patients get the products they need, when they need them, in a way they love. For more information, please visit naturalpartners.com. When we launched Fullscript in 2011, we were just three guys from Canada who wanted to build something impactful – something we could work on for the rest of our lives and wake up every day excited about where we could take it next. We owe the integrative healthcare community a great debt, because you helped us find that mission – the mission that gets us out of bed in the morning and fans the fire behind every decision and every new feature launch. This has never been just about supplements. It has always been about the evolution of medicine. It has always been about helping practitioners provide better care, and most importantly, helping patients commit to wellness. I often compare the practice and consumption of integrative healthcare to pushing a boulder up a mountain. It’s hard, especially when doing it on your own. If we want integrative healthcare to succeed, to be universally accepted and thoroughly integrated with our western standards and institutions, we need the entire community to get behind that boulder and push together. Today is a milestone for Fullscript and for our community. Our community just got a lot stronger, and our power to push integrative care up that mountain just got a lot mightier. That strength comes from two companies coming together – previous competitors that realized we had the same goal, and would be stronger if we tackled it together. By joining forces in a merger with Natural Partners, we can focus on catapulting our technology and customer experience to completely support the patient on their path to wellness, while greatly improving our fulfilment standards and adding value to the entire ecosystem. 74 new brands will be added to our catalog, including Bezwecken, Professional Formulas and Enzymedica. We’ll finally become the FULL script! Practitioners will be able to prescribe much more than just supplements. Fullscript will be a patient’s master dashboard for their health; mission control for a multi-faceted, integrative wellness plan. 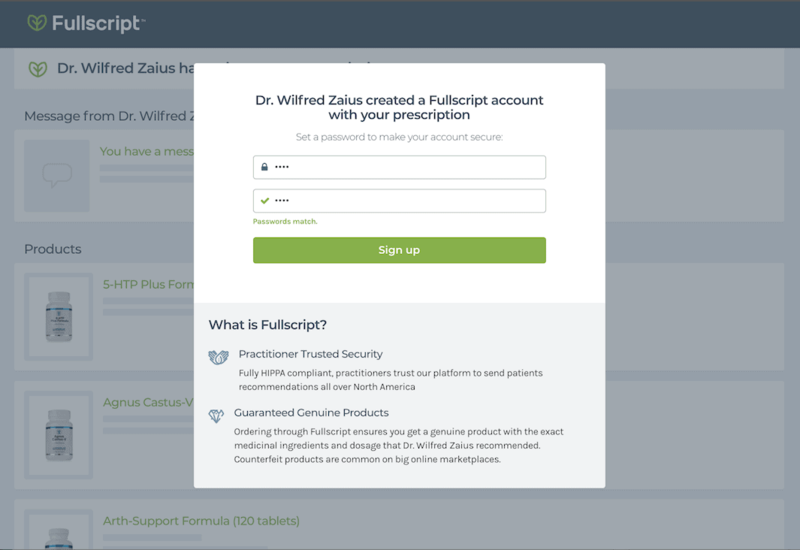 Instead of practitioners bringing all of their own patients to Fullscript, Fullscript will also find patients and bring them to practitioners. Integrative healthcare is hard. It’s hard for practitioners; it’s hard for patients; it’s hard for suppliers, technology companies, and distributors; it’s hard for any company dedicated to wellness. This merger makes it just a little bit easier. It’s all about taking the hassle out of integrative healthcare, and we’re excited to continue this mission with an amazing partner and now teammate – Natural Partners. We’re constantly working to improve the Fullscript dispensary platform based on your feedback. Here’s a look at what we’ve been up to in the last few months. Advanced search is now available in Canada! 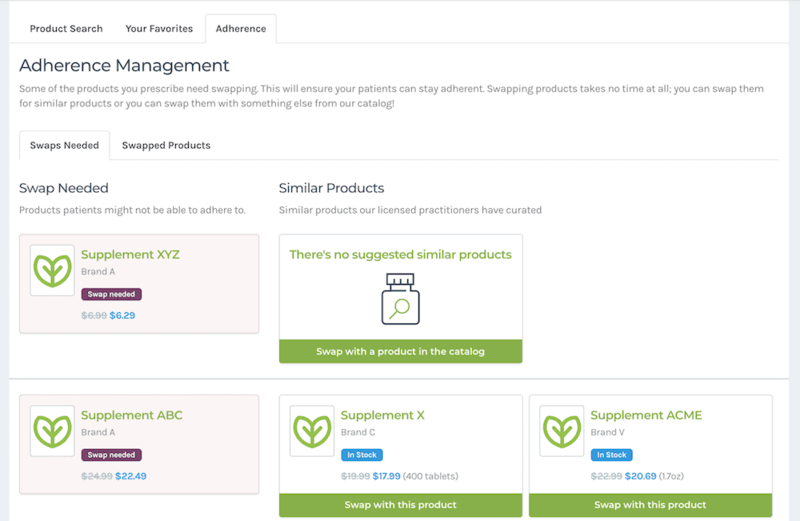 We’ve curated over 1300 products into 31 categories to help you search for products on Fullscript, including: probiotics, herbs, proteins, omega fatty acids, and multivitamins. Find the products you want, faster. The patient search bar is now sleeker than ever and it’s only getting better. We have big plans to expand its functionality to searching products, orders, and even help articles. We recently launched an enhanced version of our API so that your favourite EHRs can easily integrate with Fullscript. With these integrations you can have all of the benefits of Fullscript at your fingertips, without adding complexity to your workflow. You asked and we delivered! Patients now have the ability to set their autoshipment to ship every 6 weeks. We’ve all heard of vitamin D. Whether it’s from your doctor, on TV, on a cereal box, or in the health food store. It’s an extremely common supplement, and for good reason! Vitamin D is involved with several important organ systems in the body and its deficiency can cause many different health problems. Elmer McCollum discovered vitamin D in 1912 after noticing the positive effects of cod liver oil on rickets. It wasn’t initially clear what ingredient in the cod liver oil was providing the health effects, but this led to vitamin D being isolated and extracted. Until 1912, vitamin D was only ever available in cod liver oil! (1) The ability to take vitamin D on its own meant that vitamin D could now be shipped far and wide with far fewer concerns for whether the cod liver oil would go bad while in transit. Vitamin D is a pro-hormone, which means that it’s an ingredient in the formation of hormones like testosterone, progesterone, estrogen, and cortisol. As a non-essential vitamin, your body does have the ability to produce it in the skin. That said, it can be hard to produce enough unless you live in a country that is close to the equator or you spend lots of time outside. You’ll notice two letters after the dose of vitamin D on a supplement bottle or a nutrition facts panel: “IU”. This stands for “International Units”. Vitamin D can be measured in a few different ways, but the IU measurement is the most common term. Occasionally, vitamin D will be measured in micrograms (mcg). Vitamin D is one of the only vitamins that can be made by the human body. In order to have sufficient pro vitamin D3 in the skin, you need to eat enough healthy cholesterol in your diet. 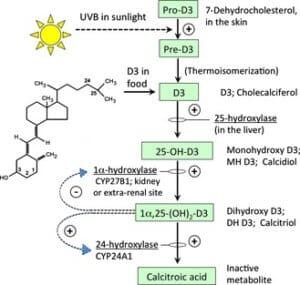 When UV-B rays from the sun are absorbed by your bare skin, they cause the conversion of 7-dehydrocholesterol (or pro vitamin D3) to cholecalciferol (vitamin D3). Cholecalciferol is converted by the liver and then the kidney into the active form of vitamin D3 called Calciferol. You can also get vitamin D from plant sources like mushrooms. This form is vitamin D2 and also called ergocalciferol. It’s widely accepted that vitamin D3 is better absorbed and utilized by the body, so the recommendation when supplementing is to stick with vitamin D3. The alternative to lanolin-based D3 is lichen-based D3. 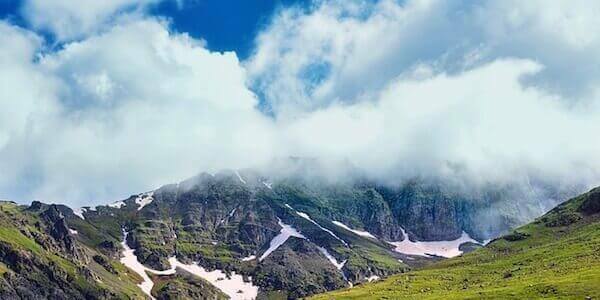 Lichen, a kind of plant that grows in moist environments, also known as moss, is one of the only non-lanolin sources that can provide vitamin D in its previtamin form. Vitamin D is also found in mushrooms, in the previtamin form of vitamin D2 or ergocalciferol. Prior to lichen-based D3’s prominence, D2 products were the solution for patients who needed exogenous vitamin D, but chose not to use lanolin-based D3. If you’re trying to follow a vegan diet, or trying to avoid products made from animal byproducts, choose a vegan vitamin D product, which is made from lichen (a type of seaweed) instead of sheep’s wool. 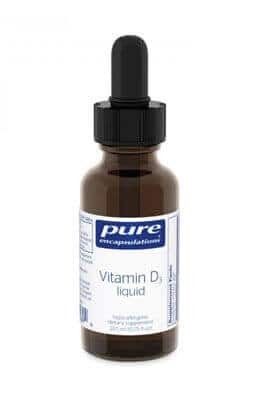 If your bottle doesn’t say the source material of the vitamin D and doesn’t say that it’s a vegan vitamin D on the bottle, then it’s most likely made from lanolin. This can happen with other products as well: source material isn’t always communicated on dietary supplements, and the lack of information about sourcing can make it difficult to choose products because you don’t know enough about it. 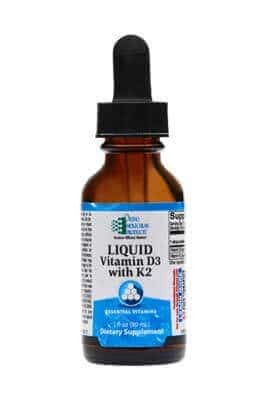 When possible, if you’re deficient in vitamin D or could benefit from supplemental vitamin D, consider using D3 to optimize absorption and bioavailability of oral vitamin D instead of D2. (4) Spend time outdoors so the body continues to convert it’s dietary D2 into D3 as well through UVB light exposure to the skin. When taking oral supplements, absorption can be optimized by using lipid suspensions of vitamin D3, either as a gelcap or a liquid, and by co-ingesting vitamin D with a fatty meal. While the first generation of vitamin D supplements came in the form of dry tablets, the large majority of products have now shifted to liquids and fatty liquid suspensions. An example of a fatty liquid suspension is good old cod liver oil! Vitamin D is also added to a lot of food products that wouldn’t normally have it, and is one of the best examples of “healthwashing” products. Most people think of vitamin D as a health-promoting vitamin, so adding it to food helps to increase the public’s opinion of the health of that food. The vitamin D that is added to some orange juice products is no different than the vitamin D in a supplement. Since vitamin D is a fat-soluble vitamin, it will accumulate in the body if it’s taken for a long time or in high doses. This also means that taking it daily isn’t absolutely necessary. There are even some trials that demonstrate vitamin D can be taken as infrequently as once a week in a higher dose. (5) Regardless of how you take it, vitamin D is best taken alongside a fatty meal, bound to fat, suspended in an oil-based liquid, or in an oil-suspension gelcap. As a prohormone, vitamin D is a precursor to many other important hormones in the body. Vitamin D supplies the backbone structure of other steroid hormones through its own precursor: cholesterol. Once vilified, we now know that cholesterol is pivotal for the body’s overall function. Without that steroid backbone that cholesterol provides, we wouldn’t be able to make vitamin D in the skin, and without vitamin D, we wouldn’t be able to make testosterone, estrogen, progesterone, and cortisol properly. How can vitamin D help? In the developed world, vitamin sufficiency is taken for granted due to food security and fortification, or the addition of supplemental vitamins and minerals to foods. However, in developing countries where vitamin D-rich foods and food fortification aren’t as common, vitamin D supplements play a particular role in preventing osteomalacia (rickets), a common condition caused by vitamin D deficiency. It results in children with soft and brittle bones that don’t develop properly, and they end up with a bow-legged appearance. Vitamin D supplementation in the food system and through dietary supplements has significantly reduced the risk and subsequent global impact of this disease. Vitamin supplementation in the food system has also helped to prevent adult bone loss, and increase calcium absorption; another factor in keeping the bones of adults healthy. Vitamin D’s role in immune health cannot be understated. By regulating hormone production and function, as well as being a pivotal precursor in the adaptive immune response, vitamin D is helpful in both acute and chronic immune disease states. Vitamin D insufficiency is linked with increased rates of pneumonia and the common cold in both children and adults (so you want to make sure you have adequate levels), but supplemental vitamin D above normal levels hasn’t shown to be effective for the treatment of common colds. (6) As long as you have adequate vitamin D levels, you’re getting the immune benefit of vitamin D; you don’t need to ingest excess levels in times of sickness if you’re already at a normal level. As mentioned above, vitamin D is a fat-soluble nutrient, so there is a chance that you can store excess amounts from high-dosage intake. While the negative side effects don’tt appear until extremely high levels are consumed, there is generally very low risk for side effects unless mega-dosing for a long time. As we mentioned above, there’s such a low risk for dosing at levels around 1000 IU per day that the Canadian government suggests recommending it to patients prior to establishing a baseline if insufficiency is suspected and then re-testing later. The most common concern to be aware of when it comes to vitamin D is whether there is an aversion to the source material (lanolin) or other non-medicinal ingredients in the product itself. It’s otherwise an extremely safe, well studied, and a relatively benign ingredient when dosed conservatively. When dosed aggressively for chronic periods, or in large amounts all at once, it’s important to monitor negative outcomes to bone health. 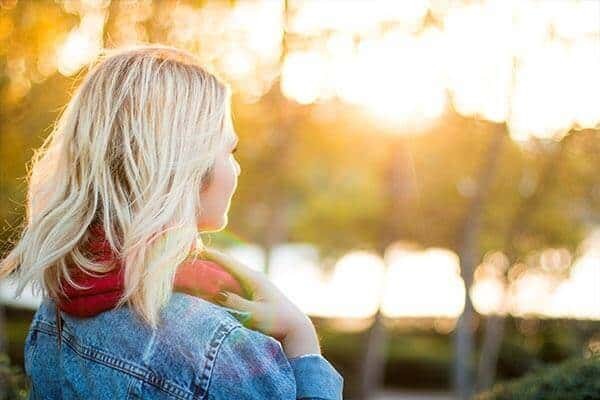 Extremely high levels of vitamin D can paradoxically cause the very same bone conditions it causes at lower levels, as excess vitamin D can alter calcium metabolism in a negative fashion. 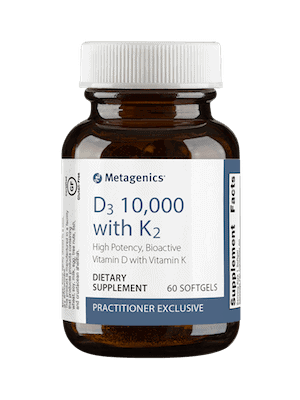 D3 10,000 with K2 provides 10,000 IU per softgel of vitamin D (as D3), designed for greater absorption. This high potency formula also includes bioavailable forms of vitamin K2 to complement vitamin D. This product is Gluten Free. Vitamin D3 liquid naturally supports calcium absorption and retention within bones to promote optimal bone health. Vitamin D3 also supports colon health by promoting healthy cellular function. Deluca, Hector F. “History of the Discovery of Vitamin D and Its Active Metabolites.” BoneKEy Reports, vol. 3, Jan. 2014, p. 479. Office of Dietary Supplements – Vitamin D. https://ods.od.nih.gov/factsheets/Vitamin%20D-HealthProfessional/. Lehmann, Ulrike, et al. “Bioavailability of Vitamin D2and D3 in Healthy Volunteers, a Randomized Placebo-Controlled Trial.” The Journal of Clinical Endocrinology and Metabolism, vol. 98, no. 11, 2013, pp. 4339–45. Ish-Shalom, Sophia, et al. 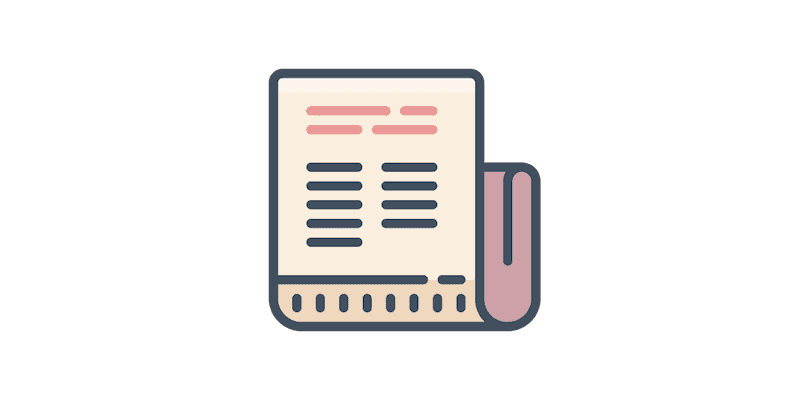 “Comparison of Daily, Weekly, and Monthly Vitamin D3 in Ethanol Dosing Protocols for Two Months in Elderly Hip Fracture Patients.” The Journal of Clinical Endocrinology and Metabolism, vol. 93, no. 9, Oxford University Press, Sept. 2008, pp. 3430–35. Linder, Jeffrey A. “Vitamin D and the Cure for the Common Cold.” JAMA: The Journal of the American Medical Association, vol. 308, no. 13, Oct. 2012, pp. 1375–76. Martineau, Adrian R., et al. “Vitamin D for the Management of Asthma.” Cochrane Database of Systematic Reviews , vol. 9, Sept. 2016, p. CD011511. Sintzel, Martina B., et al. “Vitamin D and Multiple Sclerosis: A Comprehensive Review.” Neurology and Therapy, Dec. 2017, doi:10.1007/s40120-017-0086-4. Gouni-Berthold, Ioanna, et al. “Vitamin D and Cardiovascular Disease.” Current Vascular Pharmacology, vol. 7, no. 3, July 2009, pp. 414–22. Lindblad, Adrienne J., et al. “Testing Vitamin D Levels.” Canadian Family Physician Medecin de Famille Canadien, vol. 60, no. 4, The College of Family Physicians of Canada, Apr. 2014, pp. 351–351.